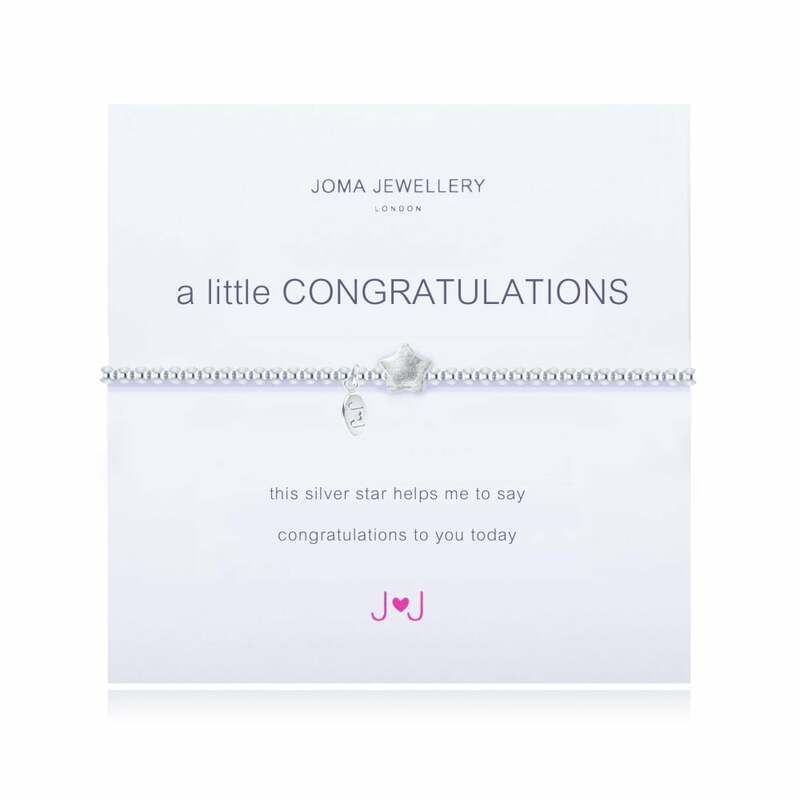 This stunning A Little Congratulations Bracelet by Joma Jewellery is an ideal gift to say a little congratulations! A Little Congratulations Star Bracelet by Joma Jewellery. With a star made from plated silver and presented on an official Joma card which reads 'This silver star helps me to say congratulations today'. A gorgeous brushed silver plated star on an elasticated bracelet. Makes the perfect gift to say congratulations. This gorgeous bracelet is made from a row of silver plated beads and is adorned with a shining silver star. It is displayed on a presentation card which is then placed in a beautiful gift box, all ready to gift. You can also write your own personal message to the back of the presentation card to personalise your gift. Adult Elasticated Bracelet full length 17cm approx.